Det var spændende at opleve, hvordan litteraturens forskellige værkformer kan indtænkes og nytænkes i krydsfeltet mellem det digitale og det interaktionelle. 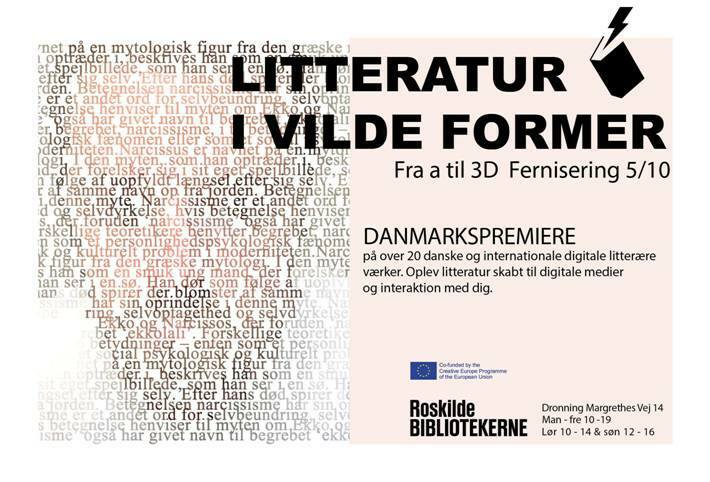 This entry was posted in Events and tagged digital litteratur, interaktion, værker on 2017-10-10 by sisse. Bjørn recently published the work “The Substance of Drawing – a Guide to Visual Power”, which helps guide the reader through the many wonders and difficulties of the craft and art of drawing. Beside the very instructive examples and Bjørn’s guidance, the book in itself is an aesthetic experience. The Substance of Drawing can be bought here. This entry was posted in Blog, Education and tagged drawing, guide, visual power on 2017-06-06 by sisse. Rane Willerslev ny direktør for Nationalmuseet. 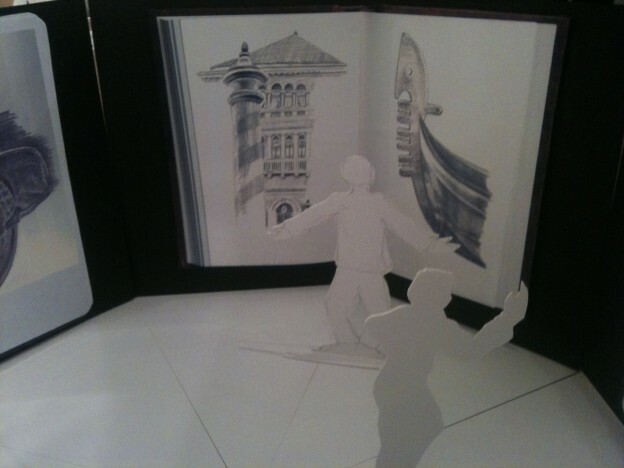 This entry was posted in Blog, Visions and tagged Nationalmuseet on 2017-04-24 by sisse. This entry was posted in Blog and tagged academics, gitHub, lecture hall on 2017-04-23 by sisse. 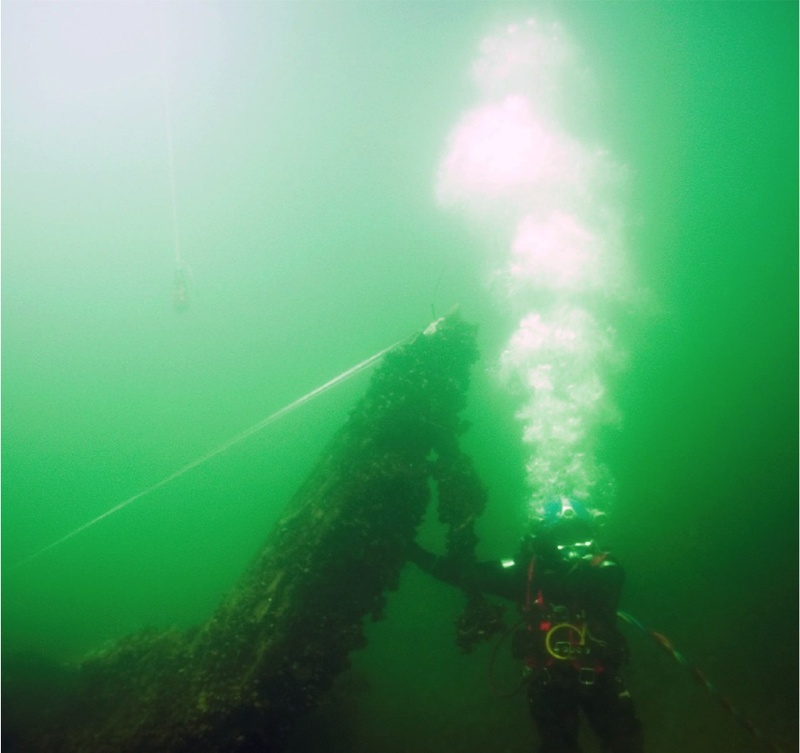 Since 2013, participants of the ExLab RUC team have developed a maritime archeology installation in close cooperation with the Maritime Archeology Experimentarium at the Viking Ship Museum in Roskilde. 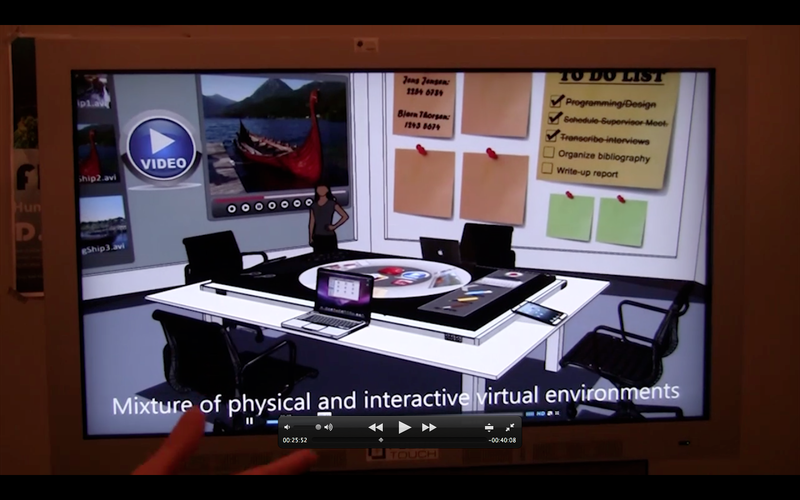 A copy of the ExLab RUC Experience Cylinder’s (ExCyl) digital and physical architecture has been developed in support of the difficult task of communicating maritime archeology. 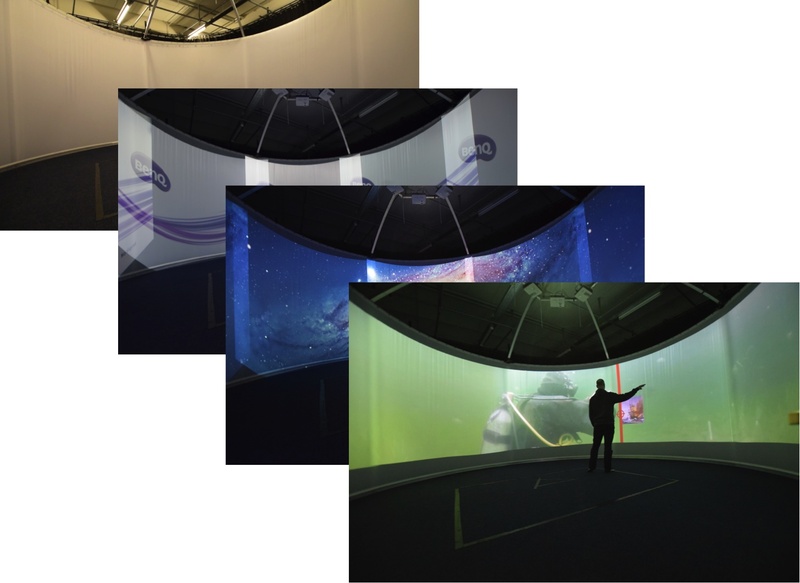 Based on the ExCyl installation interactive underwater scenarios have been developed. Underwater archeology is a science difficult to communicate in a museum setting and exhibition. The idea of the installation therefore is to inspire an underwater experience. 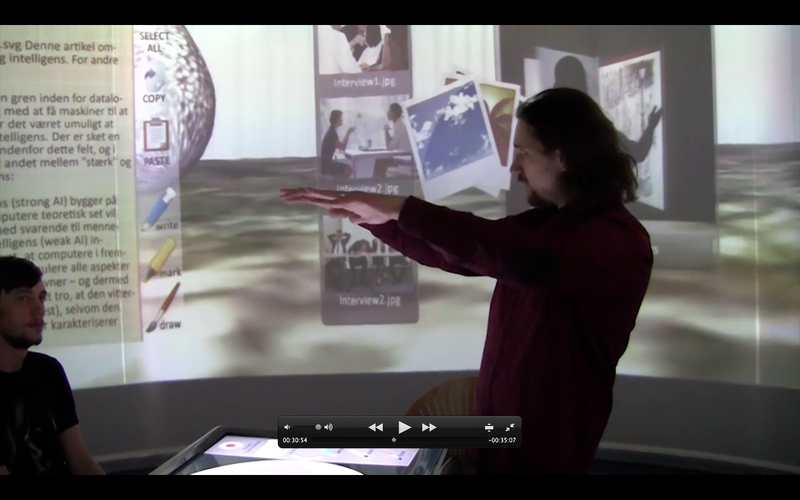 Several steps have been taken to develop the installation from raw canvas to the final interactive scenario in terms of technology as well as narrative and interaction. 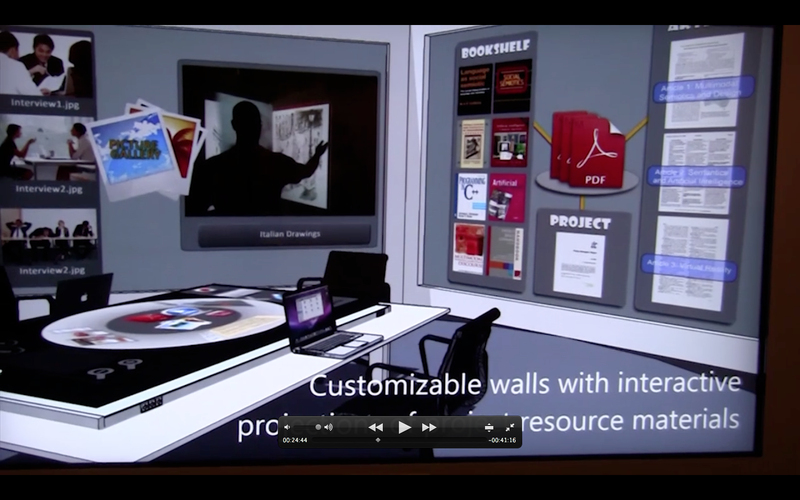 The interactive installation traces the audience’s location in space and with this location as a starting point different media (picture, text, video etc.) are shown to be selected and experienced by the audience. 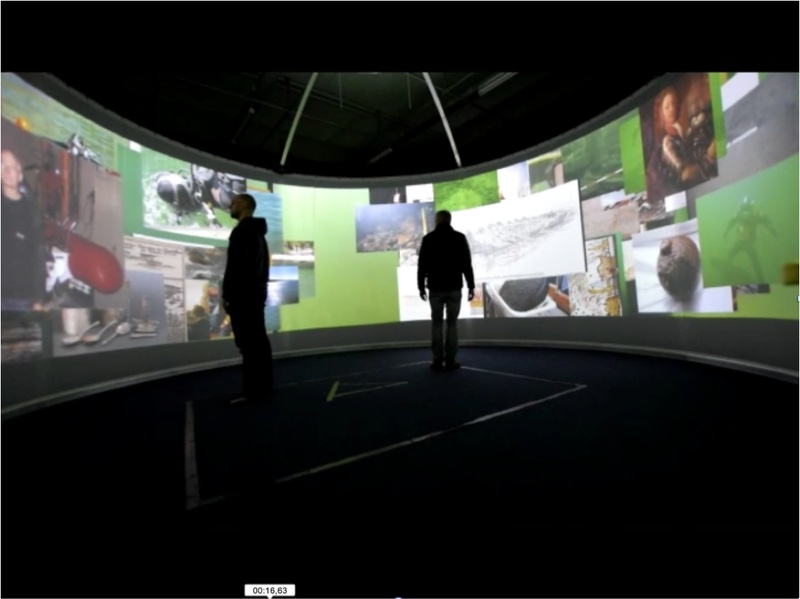 This entry was posted in Blog, Projects and tagged experience cylinder, interactive installation, maritime archeology on 2016-03-09 by sisse. Kulturportalen – kulturen i byrummet. In 2015 we sketched, modeled, and conducted the pilot project “Culture and City Spaces” in collaboration with Roskilde Libraries and Roskilde Museum. 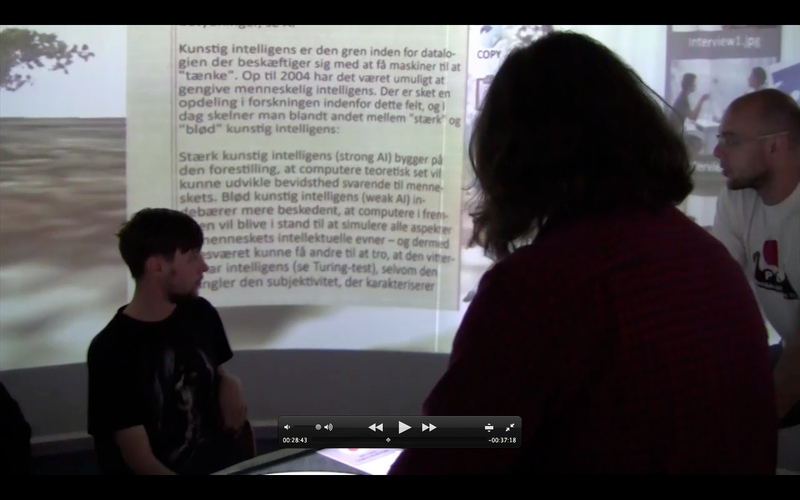 Early pilot-project results are described in a summary: Kulturportalen – kulturen I byrummet. This entry was posted in Blog, Projects and tagged byrummet, Kulturportalen on 2016-02-10 by sisse.